I felt your pain yesterday, my friend, & Dr. Wolf was kind enough to shoe horn me in for a last minute appointment. He was empathic enough to realize that I was in distress, and made arrangements to see me the same day. After a consult & some spot on diagnosis/treatment, the sun rose today with me able to dance like my hair's on fire! It's important to note that before my call, I had never seen Dr. Wolf. HIs accommodation of my needs was something that you'd expect from a long term Dr./Patient relationship, & certainly not something offered to someone making a cold call to his office. I genuinely appreciated his skills, knowledge, & bedside manner. (I wish my GP had half of the personality that Dr. Wolf displays.) I've seen a number of Podiatrists in my days, & Dr. Wolf is heads and tails the best. Thanks again for getting me on my tip toes, Dr. Wolf. 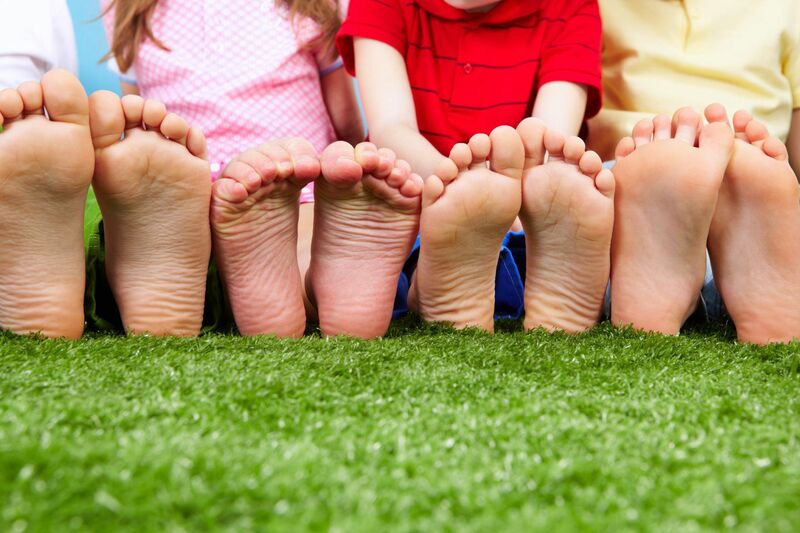 Dr. Wolf has been a podiatrist for well over 30 years. He is calm, experienced and very knowledgeable. Recently I injured my ankle in Jui Jitzu, Dr. Wolf was able to diagnose and give me a treatment to get me back on my feet quickly. He also made great recommendations for pain management and the correct brace to use so that I do not re-injure myself. I would highly recommend him! My feet had been in awful shape for about two years from the job I have in the grocery industry. The soreness was to the point that after work all I could do was lay down and rest them enough to do it all again the next day. I went to Dr. Wolf out of desperation because I had tried so many things that had failed to bring any relief. He quickly identified the issue I was having and came up with a treatment plan. Now, my feet are no longer holding me back and I can do all the things I enjoy doing like running and going to the gym. After the first week alone the improvement was so great that I was almost in tears because I had been in pain for so long that any relief seemed like a dream come true. In all honesty, I feel like I have my life back. Thank you, Dr. Wolf. Dr. Wolf is a kind compassionate caring and professional individual. He even came in on his day off to help me with an ingrown toe nail (infected... ouch). Only see Dr. Wolf if you care about how you are treated and want the very best foot care. Dr Wolf is a wonderful foot Doctor. I have been to him for several foot issues and he has always been very professional and compassionate. He treats you like family and puts you completely at ease. I would recommend Dr. Wolf to anyone that wants to get treated with respect and in a very knowledgeable and caring manner. Ive been seeing Dr Wolf for years now and i wouldn't look anywhere else when it comes to anything foot related. Dr Wolf is one of the most caring and compassionate doctors ive ever met and really takes the time to serve you. I get the feeling like i am his only patient when ive seen him in the past. He took care of me when i fractured my foot a few years back, and again with a similar injury on the other foot more recently. Hes incredibly knowledgeable and is one of the best podiatrists in the entire region, in my humble opinion. If you need help with anything foot related - stop the search and call Dr. Wolf - he really is THAT good. I called Dr. Wolf recently about an ingrown toenail and was able to see him just two days later, which was the most convenient day for me. His office was clean, the surgery was quick, and I'm healing nicely. I appreciated his caring bedside manner and sense of humor, both of which put me immediately at ease. I was especially impressed when I asked him a couple of post-surgery questions via email and heard back from him within the hour! I didn't know that kind of responsiveness still existed among medical professionals. I highly recommend Dr. Wolf and won't hesitate to call him again if I need podiatric care. I had an excellent experience with Dr. Wolf and would recommend to friends and family. After having an accident with my toenail, he called me back immediately and got me in same day for an appointment. He performed toenail surgery (yes, I guess that's what they call it!) and was thorough in explaining everything during the procedure and regarding my after-care. He also didn't try to sell me any fancy products for my feet but instead recommended products I could buy online or at any pharmacy. Thanks, Dr. wolf! I went in for an ingrown toe nail, that I've been battling for over a year. The procedure went perfect! I felt no pain whatsoever. I felt very comfortable and he explained every step of the way. I will be a returning patient for all my podiatry health needs. I highly recommend Dr. Wolf. Looking for a good Podiatrist? You found him. Dr. Wolf is outstanding! I had a broken bone in my foot and neuroma from years horseback riding. I have Kaiser insurance but it is a nightmare to get help with them. Can't even get a call back. I decided to go outside of Kaiser and I am so glad that I did. I found Dr. Wolf here on Yelp and called him. He called me back himself. Wow! A real person. So refreshing after being treated like one of the sheep with Kaiser. Dr. Wolf helped me with my broken bone and made me orthotics to help with my neuroma when I ride my horse. They sure help. I am so happy with everything that Dr. Wolf did to help me. He'll help you too. Dr. Wolf is wonderful. I was so worried about seeing a podiatrist, but he completely eased all my fears and made me feel like the issues I was having with me feet were nothing to worry about and that with some treatment, we could tackle them together. When I walked in, I was surprised to be greeted by Dr. Wolf himself instead of a receptionist, which was great. I was the only patient there, which I was so excited about because I was embarrassed about the state of my feet. Dr. Wolf is just a really cool guy who knows what he's doing and makes you feel really comfortable. After having problems with my feet for 15 years and never seeing anyone about them, I am so thankful that my husband called behind my back and made an appointment for me with Dr. Wolf. Dr. Wolf was able to see me on short notice for a badly infected toe to remove the nail. Procedure was very quick and very easy, and besides the novacaine needle, painless. Highly recommended. I recently went to see Dr. Wolf and am 100% satisfied with his treatment! I called in because i had a terrible pain in my foot, he informed me what some possible problems were for the pain and had me come in so he can have a better look! He treated my problem, even looked at my workboot and inserted a very helpful insert that makes working in my boots so much more comfortable. I am greatful for his treatment and definitely would reccomend him. He issomeone who is very knowledgeable, and his experience helps that out! My wife visited Dr. Wolf and was very pleased with the visit. He was well aware of the situation she was having with her feet, provided tips and tools, and also custom inserts for her shoes. This was much needed as she stands on her feet all day for her job. Recommended, thanks! My mom fell and broke her hip she ended up in the hospital and then in a rehab center her toenails have grown long and nobody would touch her I was looking for information on a mobile podiatrist that would come to the house or to the hospital Doctor Wolf came up and he was the only one that I could find that would come out and treat her so she ended up back at home he came to the house took care of her toenails and was very very happy I would recommend him to anyone looking for someone to come to the home or to an acute care or nursing home thank you Dr. Wolf I am so happy that there are Drs. that will still make house calls. I have been seeing Doctor Wolf for many years. I tried other Doctors originally, but none were as thorough, considerate, honest and experienced in their field. He does not Rush you out of the office and he makes sure that all your questions are answered and that you understand what is happening to you, why and exactly what needs to be done. I was getting incredible back pain. Dr. Wolf noticed how much time I was taking to get up on his table and wanted to know why. I explained my back issues, the doctors I went to, the chiropractors, specialists, pain doctors etc. He measured the length of my hip bones to some part of my feet and noticed that the difference in length was significant. So he ordered these special inserts. Several months later my pain is completely gone. Where were you Dr. Wolf before I spent over $20,000 on all those other Doctors. Anyway, it seems like my feet are in the best shape since I was in my 20's. I am 66 years old. So my feet no longer hurt and my back feels like it did 20 years ago. Thank you so much Dr. Wolf, you will never know just how much you have helped me to be able to enjoy my life again without all that pain and discomfort. You are truly a blessing!!!! I had my first appointment with Dr. Wolf 4/7/17, for treatment of a very painful ingrown nail. From the moment we spoke on the phone to schedule it, to when I left his office after the procedure, I couldn't have felt more at ease. All the other reviews I'd read were spot on. Dr. Wolf is highly experienced, personable, takes time to explain and educate, and did a terrific job on my toe. I will definitely return to him in the future; and highly recommend this provider! I called Dr. Wolf to get an appointment to remove an ingrown toenail. He was able to book me an appointment right away! Dr. Wolf is professional and very knowledgeable at what he does. He made my ingrown toenail removal pain free! I'll recommend him to anyone! Hands down the best and only podiatrist we have ever been to/ever go to. Dr. Wolf is super laid back and funny. We came in for an ingrown toenail and he did the process right then and there! My partner dislikes anything medical related (needles, blood, surgery) and although he was nervous Dr. Wolf made him comfortable the process was quick and easy. He even let me see the whole mini surgery, explaining his exact steps. Which was pretty cool considering how most doctors don't let you be around during those things. He gave us clear instructions on care and bandaging. He explained everything so well. Dr. Wolf is very kind and experienced. I had foot fungus on my right foot, it itches so bad it kept me awake at night. it only took me a couple of visits for him to fix my problem. - I never thought it would be so fast! Just about one month! I found out his clinic was not covered by my insurance after visited him, but his treatment worked so well and he was so kind to offered me one last inspection to make sure I will be ok. I would recommend anyone to see Dr. Wolf. I went to see Dr. Wolf two weeks ago for an ingrown toenail that I had for 5 months. He was great he removed the ingrown area fast I was in and out in about 30 minutes. The doctor is a rockstar!! He also gave me some advice for my plantar fasciitis. I can not believe that in that short amount of time I could be pain free and felt no pain for the quick procedure. The doctor is nice and very funny. I would recommend him to anyone for there foot needs.